Ask anyone what the first thing is they notice about you, and “your smile” is a common answer. Are you proud of your teeth, or are you hiding behind a less-than-desirable smile? Have you thought about straightening your smile but aren’t interested in wearing conventional metal wires and brackets for a long time? Perhaps the cost of traditional braces kept you from discussing orthodontic treatment with your dentist. Whatever the reason, Worchester dentist, Dr. Stanley Levenson, is one of the few dentists in Massachusetts who is specially trained to offer the innovative orthodontic treatment called Six Month Smiles that promises straighter teeth in less time, and is less expensive in many cases. Dr. Levenson and his highly skilled staff at Levenson Smile consult with patients to discuss their orthodontic options and help them achieve the smile of their dreams in the shortest amount of time possible. 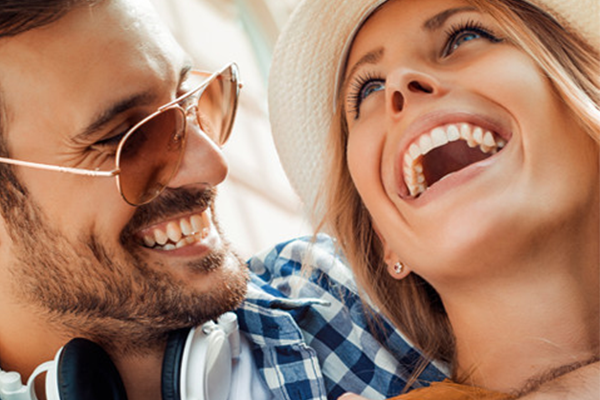 Six Month Smiles is a short-term treatment that utilizes Lucid-Lok clear brackets and tooth-colored nickel titanium wires to gently move your teeth to realign them over time. Treatment times average six months for most patients, making it appealing to those who don’t want to spend years straightening their smiles. Six Month Smiles works by moving only the teeth that people see when you smile. Ideal candidates are 16 or older, are not looking for correction of their bite, have one or more spaces in their teeth, overlapping teeth, a tooth that is rotated, or one that protrudes. If you have seriously crooked teeth, misaligned back teeth, or problems with your bite, you may need traditional orthodontic treatment. Six Month Smiles patients will need to wear a removable retainer after treatment has ended or have a bonded retainer placed to maintain the new position of the straightened teeth. Dr. Levenson will discuss your options and recommend the one that is most convenient for you. Dr. Levenson helps residents in and around Worchester achieve beautiful smiles with Six Month Smiles and other orthodontic treatments. If you’re ready to talk about your orthodontic options, call Levenson Smile today at 855.849.8255 to make a consultation appointment.